A high-ranking Chinese culture official expressed his willingness to resolve the ban on Korean cultural products including music, films, and cosmetics. The ban on Korean cultural products was enacted by the Chinese government in response to the deployment of THAAD. As a result, the Korean-Chinese relationship, which was already tensed due to their opposing relationship with North Korea, soured. Could the Answer be “The New Silk Road”? The willingness to resolve the ban seems to stem from one of the Chinese’s government’s biggest project. “The New Silk Road“, also know as the “One Belt, One Road project, revitalizes ancient land-based trade routes between China and greater Asia with Europe. With the interconnected nature and influence on the broader East Asian economy, Korea and Japan are important for this plan. Further, Mr. Long spoke about warming the relationship between Korea and China by amicably coming together at international cultural events. Both parties were represented at the Busan Film Festival and mentioned his and other’s anticipation for South Korea’s participation in the 2nd International Fashion Week held in Guangzhou in December. When THAAD was dispatched earlier this yea China retaliated by banning Korean artists from performing in the country and banned the sale of other Korean products. This turned out to be a devastating for the Korean economy, particularly for the entertainment, fashion, and beauty markets. 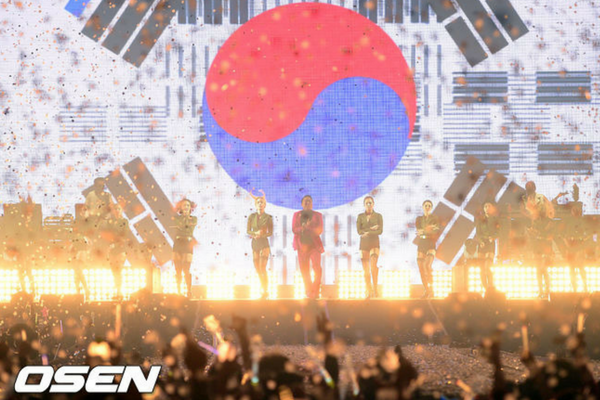 Chinese money spent on Korean products and artist concerts provided unparalleled revenue for these markets. This is, of course, when proximity, travel and shipping costs are brought into the equation. In fact, it was the popularity of Korean dramas in China that sparked the Hallyu Wave phenomenon. Unfortunately, a definite timeline was not mentioned in the meeting. The interview mostly focused on the political aspects of the Korea-China relationship. However, the simple fact that a meeting took place is enough proof that the Hallyu ban will eventually be resolved.